Chase and that triple extension! I am a CrossFit Level One Trainer, CrossFit Kettlebell Trainer, CrossFit Gymnastics Trainer and CrossFit Weightlifting Trainer. I also attended the Army Basic Instructor Course and the Small Group Instructor Training Course and spent the last three years of my active duty time instructing non- infantry soldiers on basic infantry tasks before their deployment to Iraq or Afghanistan. 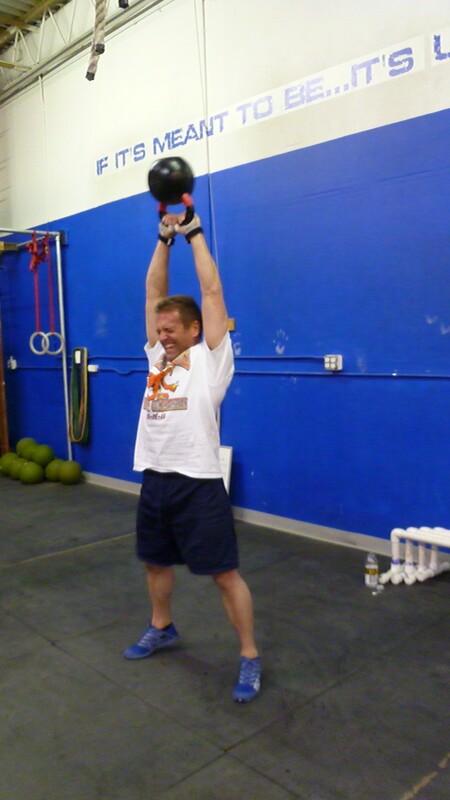 My introduction to CrossFit was in February of 2013. I had always been into working out and regularly attended the gym in my younger days before the Army and kept up with my physical fitness in the military. I was like most people in the regular gyms that trained a body part or two a day with mostly isolation exercises and rarely worked my legs. Man, that sounds so ridiculous now but most of the training I did back then was focused on how my body looked rather than how I felt or what my body could actually do. Feeling sluggish and bored in the last couple months leading up to my move to Korea my wife purchased an “On-Ramp” program through Groupon with a newly opened CrossFit box. I knew very little about CrossFIt and was hesitant to attend even putting off starting for a couple weeks. But once I attended my first class and met Josh Westberg and the rest of the people at CrossFit Determination in Roseville, CA I knew I was hooked. The movements were new and different then my customary four sets of bench press and bicep curls with some elliptical “cardio”. The workouts fast paced and intense and the furthest thing from boring I could imagine. I was excited to workout again knowing everyday was going to be a new and different challenge that took me out of my comfort zone. The people were fantastic and the coaching was excellent making the transition to CrossFit from a more standard fitness routine painless. I left class everyday exhausted and bit beat up but thrilled and looking forward to the next day. After only participating in regular CrossFit classes for a couple weeks I signed up for the open in 2013 in the weeks leading up to my departure to Korea. This is where I saw the true community of CrossFIt. Cheering and encouragement was relentless for everyone working out. I was truly amazed and I knew this was something I wanted to be a big part of my life. I found Fight Tonight CrossFit after only being in a Korea a couple days and started to participate in the classes and continue my CrossFit journey. Scott Rezendes and Jim Thurman got me plugged into the community here and encouraged me to attend the Level One course. I began coaching in June of 2013 at Fight Tonight CrossFit and have since begun coaching at CrossFit FNS as well. It has been a fantastic experience and I have since continued my CrossFit education and strived to better myself as a coach and athlete. My goal as a coach is to help athletes reach their fitness goals and make new athletes transition into the CrossFit lifestyle as smooth as possible through quality instruction of sound mechanics, progressions, and safety. I cannot imagine a better way to better yourself physically and mentally all while being a part of an encouraging community of like minded athletes and coaches. So take the plunge and give CrossFit a shot. I’ll see you at the whiteboard.